Enjoy a Hot Thanksgiving Meal at Home with the Family! 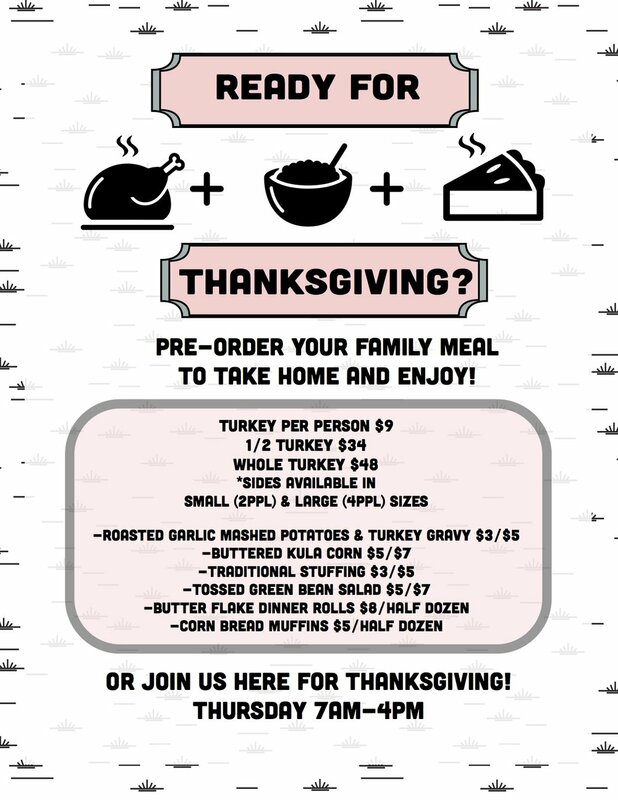 *ALL ORDERS DUE MONDAY, NOVEMBER 20TH!!!!! TRY OUR SUMMER MENU AND NEW HAPPY HOUR SPECIALS!!! !